1. We use the past simple to refer to events that took place in the past. - A pharmacist called John Pemberton invented Coca-cola. 2. We frequently use a time adverb to situate the event in finished past time. - Rolls Royce went bust in 1973. - A few years ago, the City Plaza Hotel was a leader in its segment of the market. - Many people lost a lot of money on the stock market during 2008 and 2009. 3. We use the pas simple in annual reports to describe the company’s performance over the last year. - Last year was a good year for our group. Sales rose by more than 11%, and we made substantial gains in market share in a number of countries. 1. We use the present perfect to say that a finished pas action is relevant now. - The have developed a new brand of toothpaste. - The chairman has recently resigned. 2. We use the present perfect when we are thinking of a period of time contunuing up to the present. - For over 50 years, Stirling Cars has developed classic sports cars. - Calvin Klein has been one of the leading fashion designers since the mid-1970s. 3. We often use this tense to talk about our life experiences. - She has had a number of interesting jobs. - He’s worked for a variety of firms. 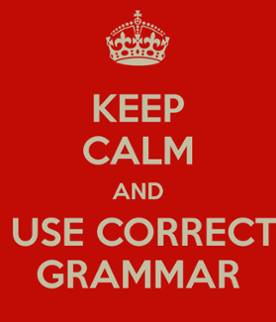 Belum ada tanggapan untuk "Grammar Reference – PAST SIMPLE and PRESENT PERFECT"